Home > Products > ChargeIt by Jay Deniz Silver Flower Charger Plate 12"
Add a charming detail to any formal event with the ChargeIt by Jay Deniz Silver Flower Charger Plate 12". 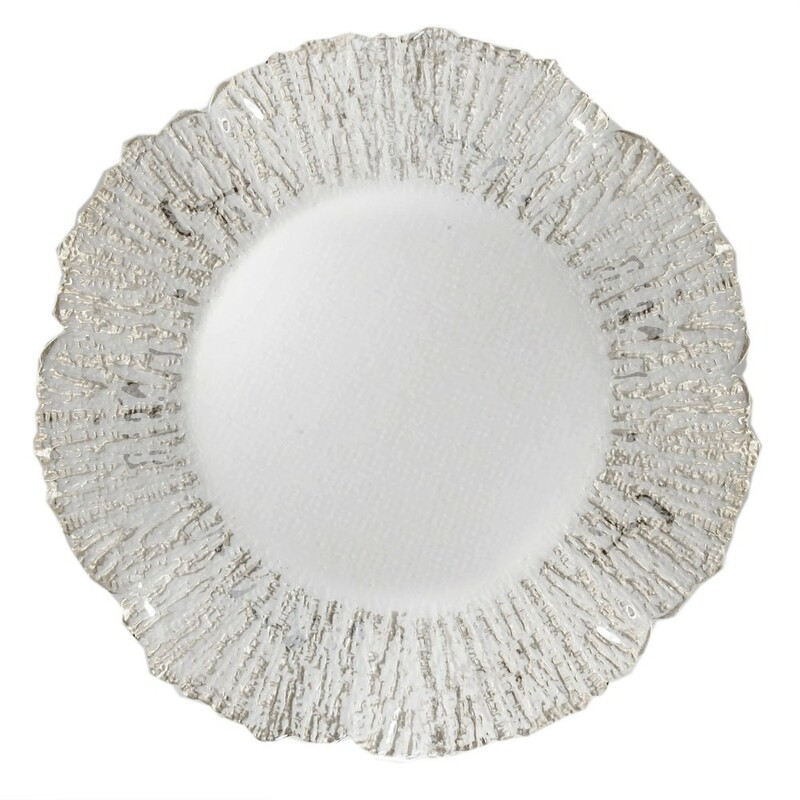 Your dinnerware collection will take center stage when layered on top of this off-white charger plate with a fossilized-style silver edging. An excellent addition to any wedding reception, engagement dinner, and upscale dining, this charger fits standard size plates, platters, and bowls. Made from premium quality glass, this charger plate boasts a delicate look that belies its outstanding strength and exceptional durability. This charger plate is easy to hand wash in warm water to keep it in excellent condition.